Here are some itsy bitsy coconut cakes with a sweet coconut ice topping which are just right for serving at party or gathering. 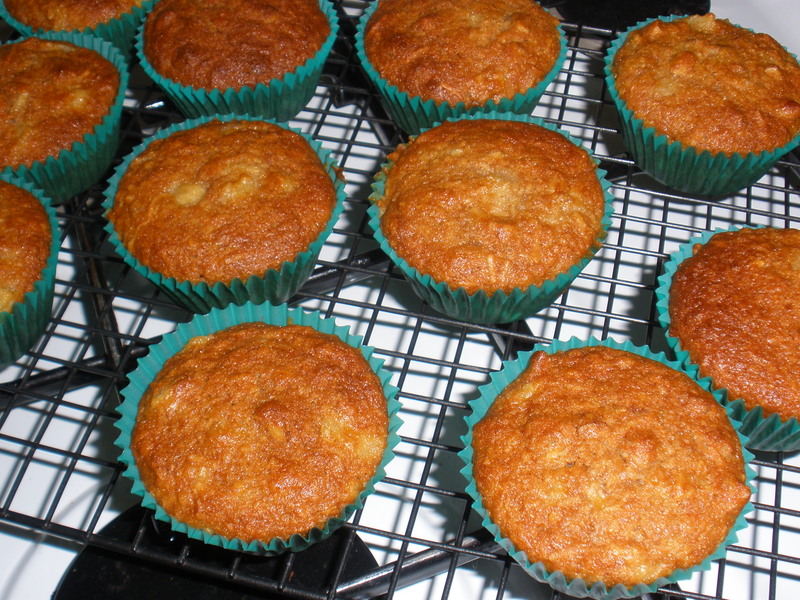 The cakes can be made up to 2 days ahead. 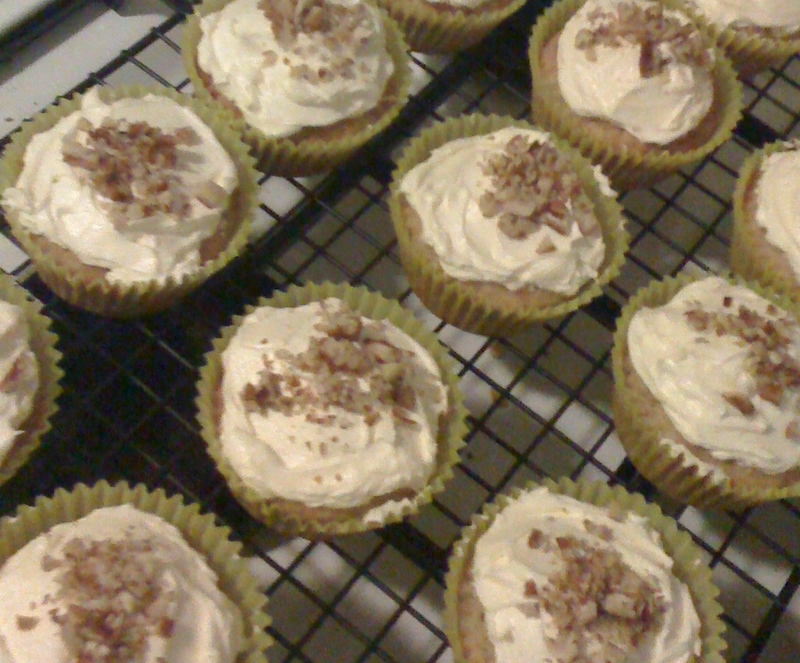 while the topping should be made and the cakes iced on the day of serving. This recipe will make about 30 or so cakes. Preheat oven to 180C. Line a 12-hole, 2 tablespoon (40ml) capacity patty pan with paper cases. Place butter, sugar and vanilla in a large bowl and beat with an electric mixer until light and fluffy. Beat in the egg. Add coconut, flour and milk. Using a wooden spoon, mix well to combine. Spoon level tablespoons of batter into paper cases. 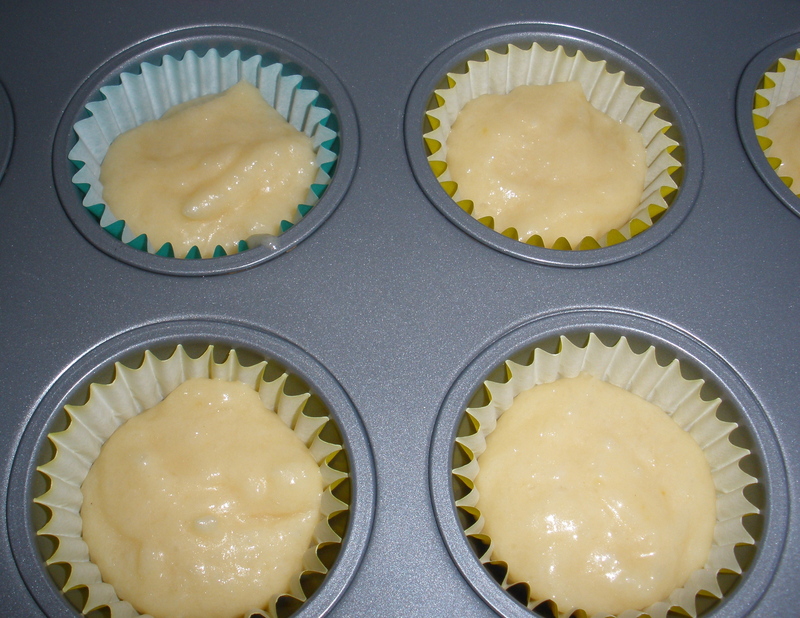 Bake for 10 – 12 minutes or until a skewer inserted into a cake comes out clean. Stand cakes in pan for 1 minute. Combine coconut, icing sugar and butter in a bowl. 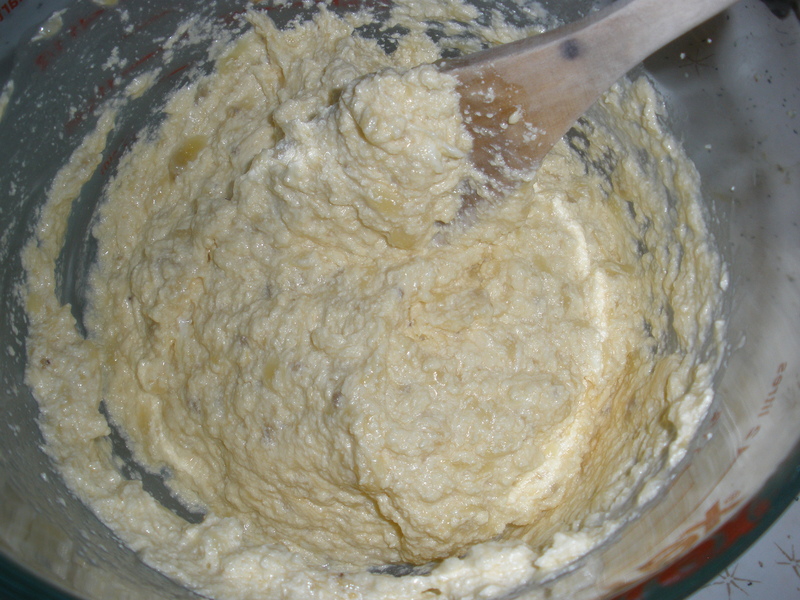 Gradually stir in 1/4 cup hot water until mixture is a spreadable consistancy (you may need to add a little more water). Stir in a few drops of food colouring. Cupcakes. Who doesn’t love cupcakes? 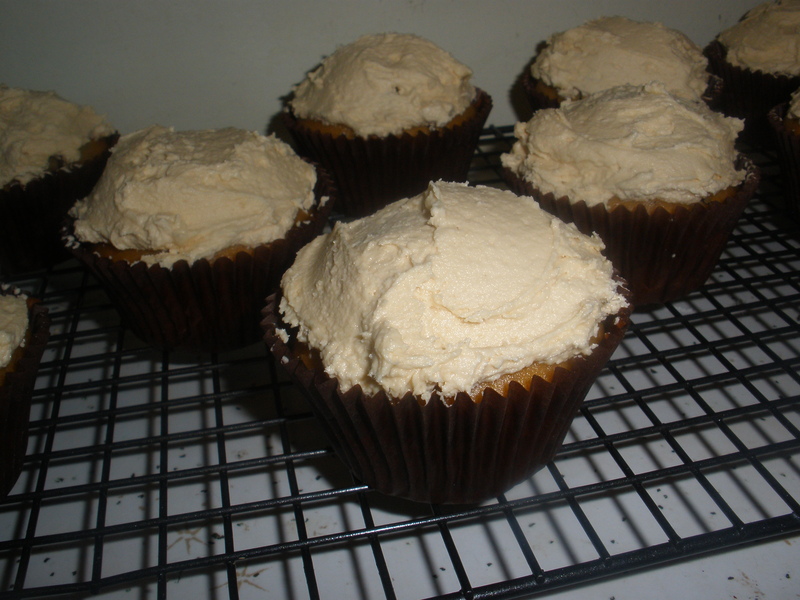 The original recipe stated it made 12 cupcakes, so I doubled it and somehow ended up 36 cupcakes. Which turned out to be a handy thing as I took some to a friend’s birthday and gave the rest to my best friend as an apology for my drunken behavior. I was almost halfway through decorating the cupcakes when the lovely @Lilylauren suggested I fill them with jam. 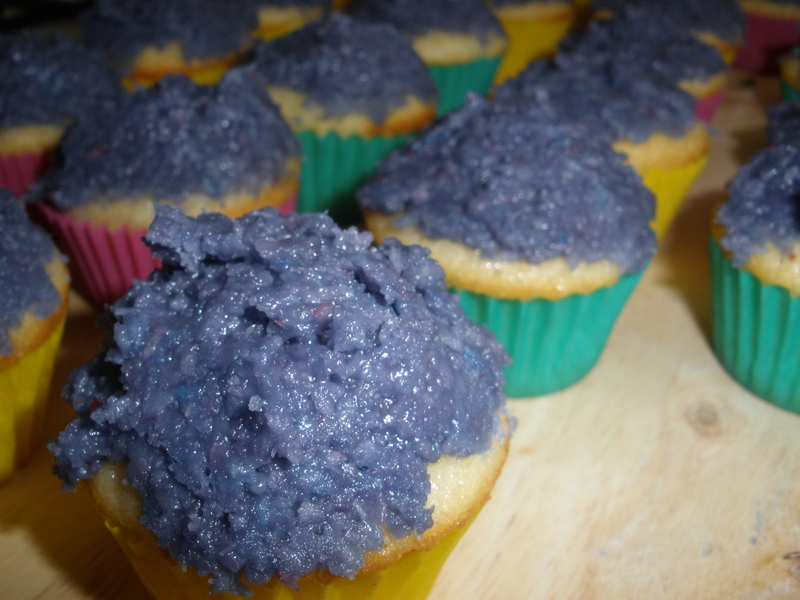 Warmed jam + piping bag ended up being pretty messy but certainly made them much yummier! Preheat oven to 160C. 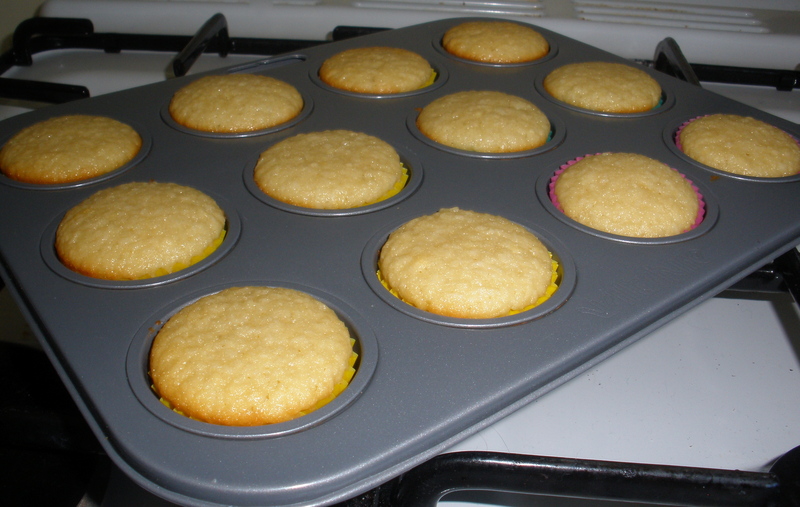 Line a 1/3 cup-capacity cupcake pan with patty cases. In a medium bowl beat butter, sugar and vanilla extract together until light and fluffy with an electric mixer. Beat in eggs, one at a time, until well combined. 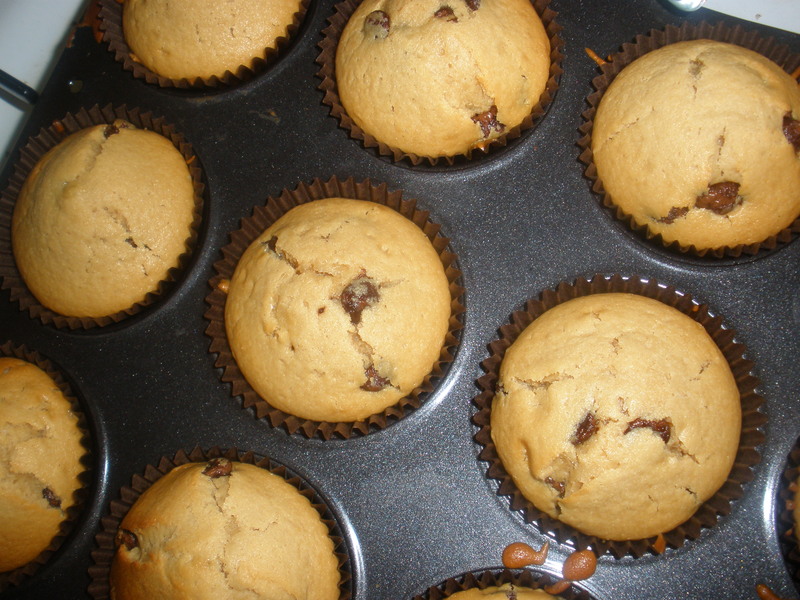 Alternately, mix flour and cocoa powder sifted together and milk, into the batter, stirring until combined. 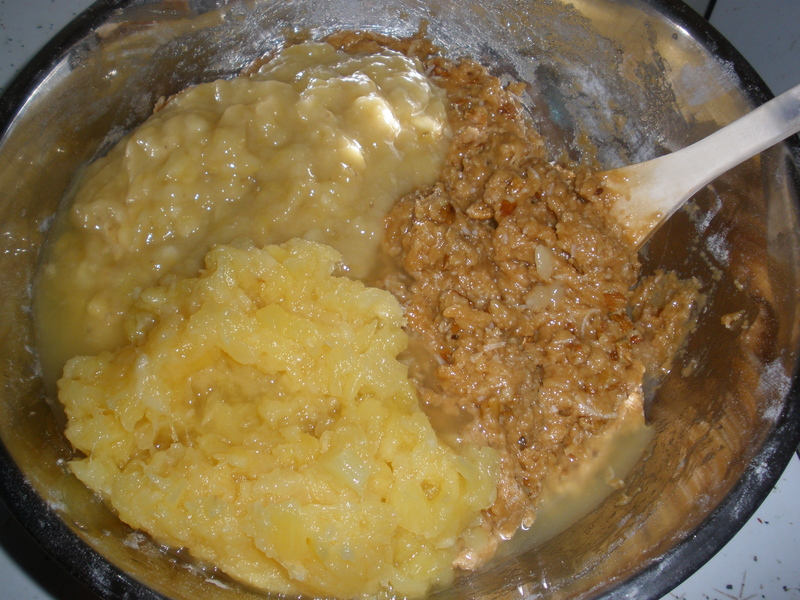 Add heaped tablespoonsful of mixture to the prepared patty cases. 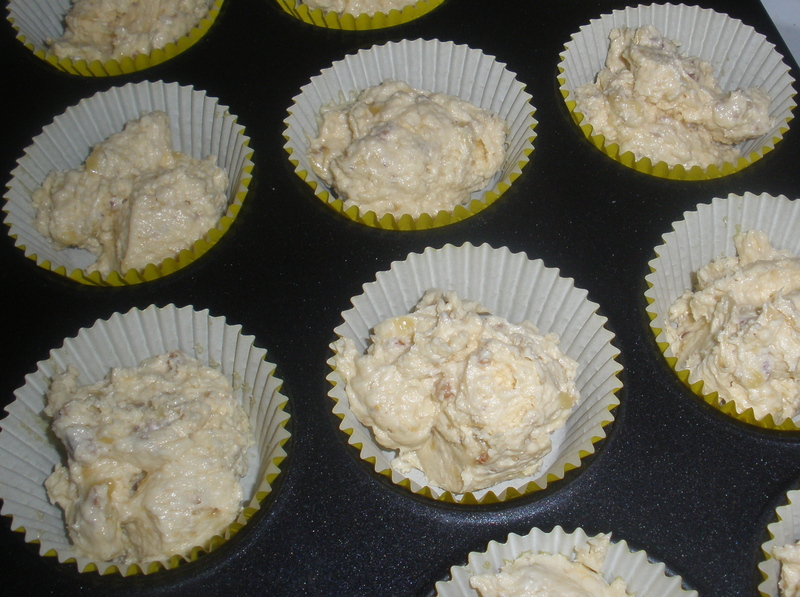 Bake for 18 – 20 minutes until risen and firm to the touch. Allow to cool in the pan for 5 minutes, before transferring to a rack to cool completely. Combine chocolate and tablespoon of butter in a small saucepan over a low heat. 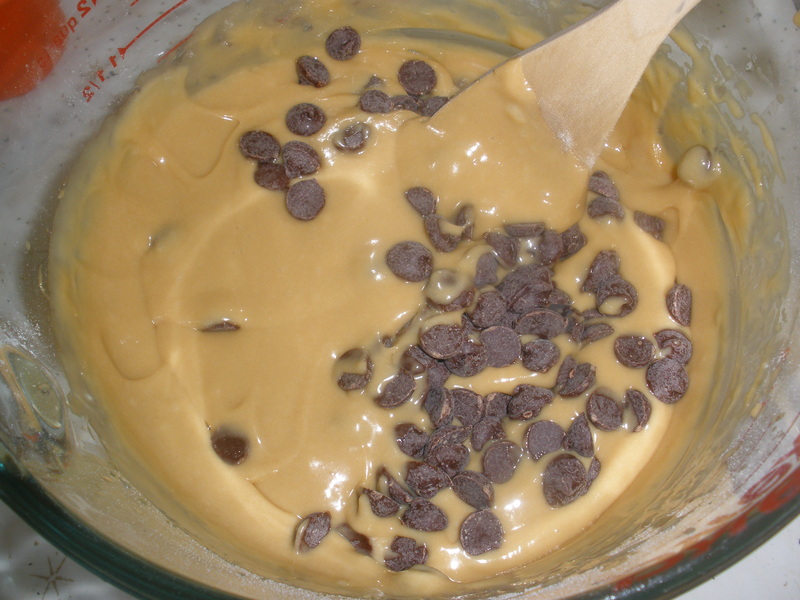 As mixture begins to melt, add cream slowly, stirring constantly, until mixture thickens. Remove from heat and allow to cool. Add remaining butter to a small bowl and sift over icing sugar. 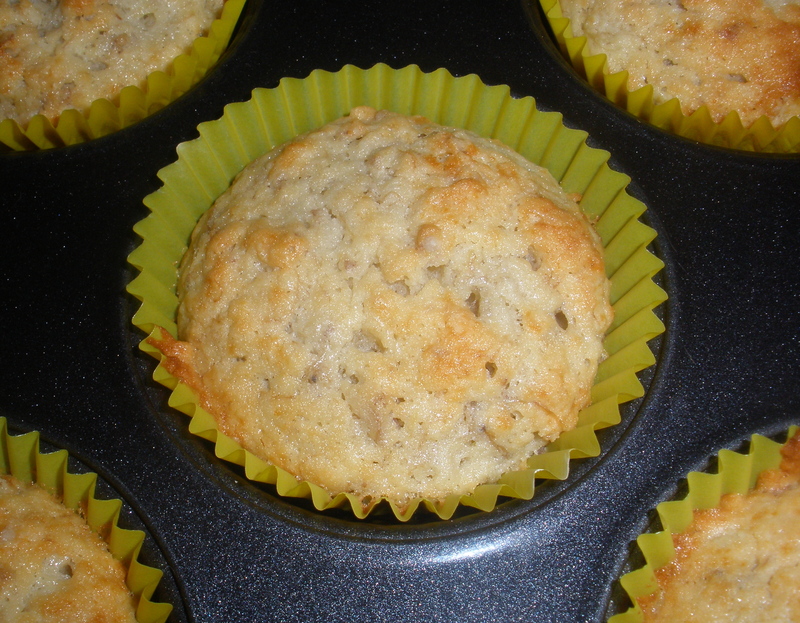 Using an electric mixer beat until light and fluffy. 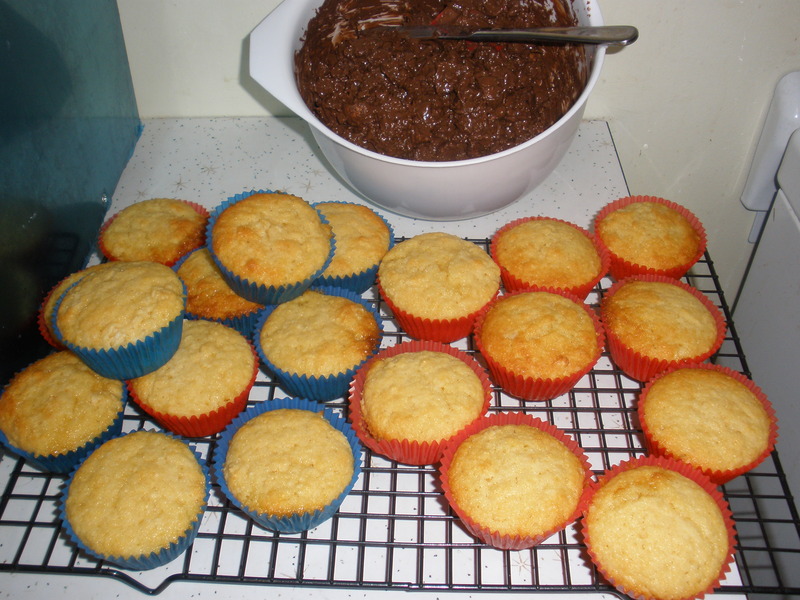 Add cooled chocolate mixture to icing and beat until well combined. 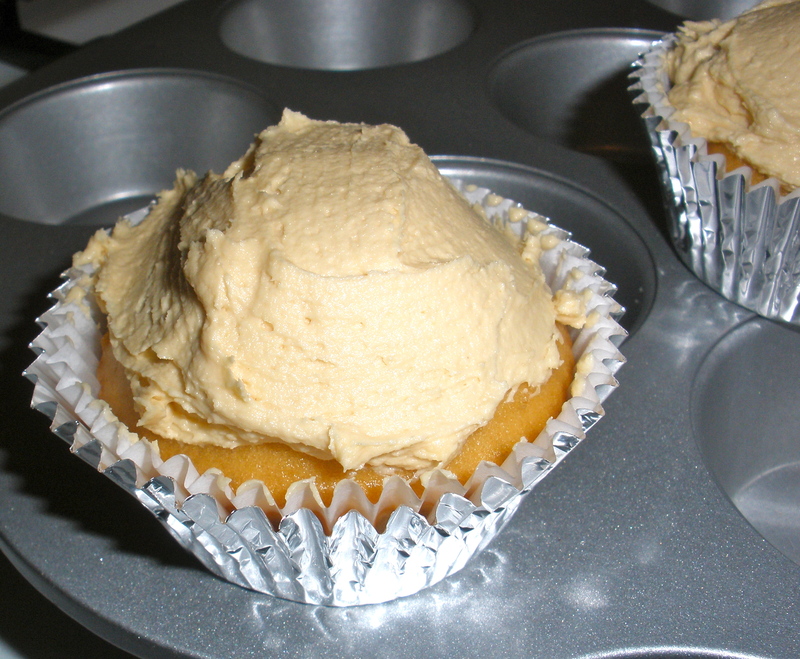 Cut tops from cupcakes. 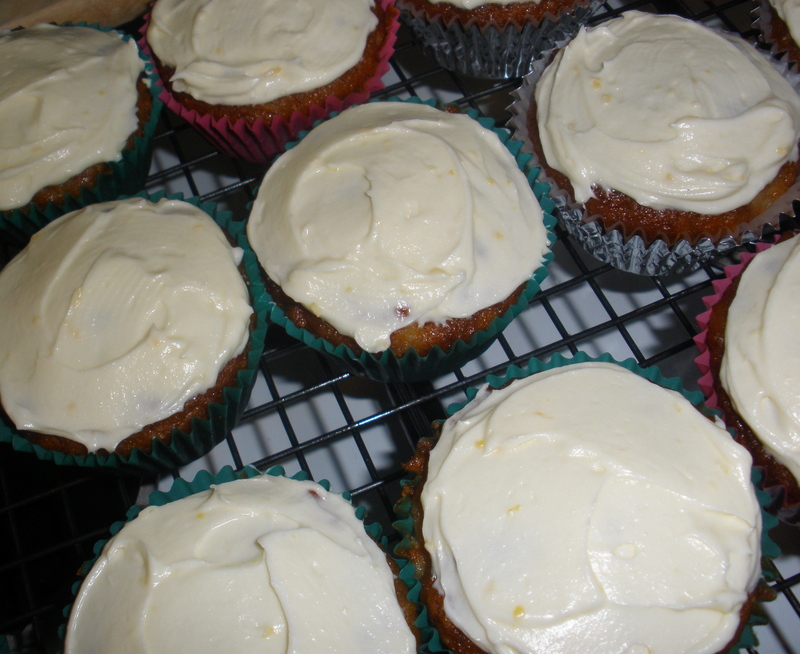 Add warmed jam to a piping bag and pipe into cupcakes. 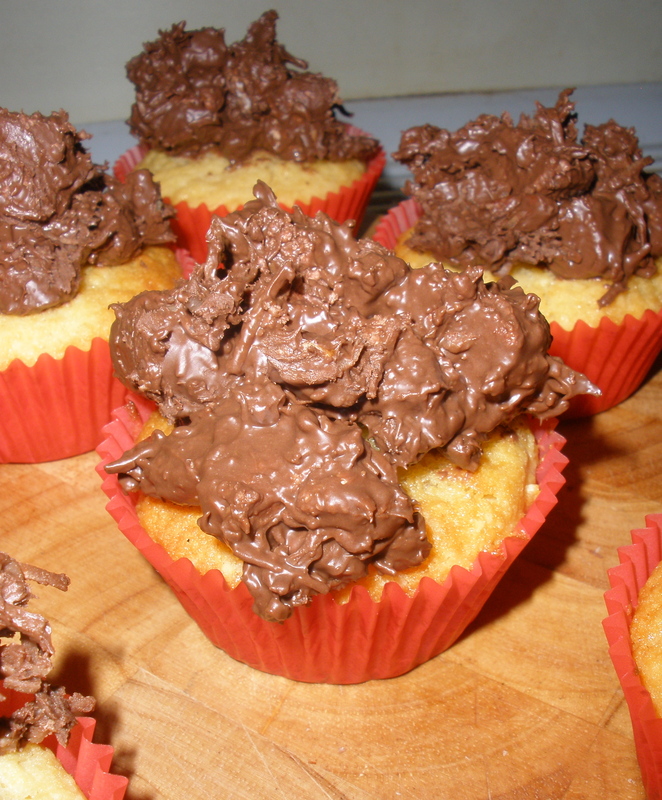 Place tops over jam and spread thickly with chocolate icing. 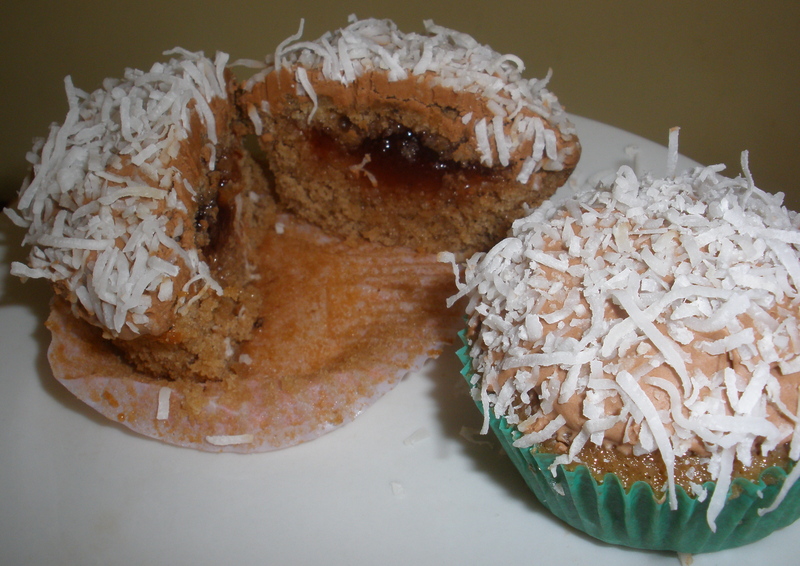 Place shredded coconut in a shallow dish and roll each cupcake in coconut to coat.